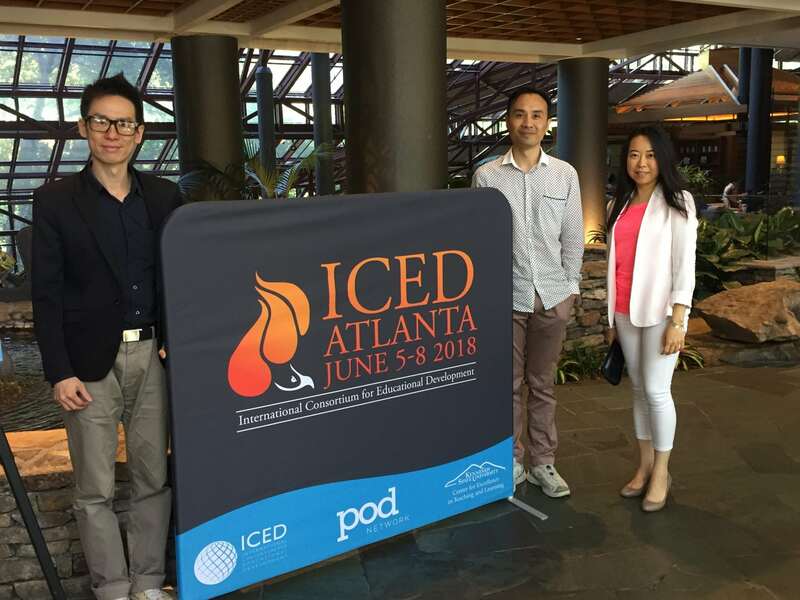 A CTLE delegation gave a panel presentation at the International Consortium for Educational Development, held in Atlanta, Georgia, 5-9 June 2018. The presentation, ‘Evolution of a Multicultural University in Greater China‘, highlighted some of the major institutional changes UM had undergone in the past decade; they include the evolution from a primarily teaching university to an international research university, the move to a new campus, promotion of faculty development, blended learning and learner-centred education, as well as the establishment of Asia’s largest residential college system and the prestigious university-wide teaching excellence award that foregrounds teaching alongside research and multi-lingual education. The panel speakers — Katrine Wong (CTLE/FAH), Matthew Liu (FBA), Michael Li (FED) — are academic and administrative voices involved in these major changes. They each spoke about how such changes impacted their identities as faculty members and administrators.